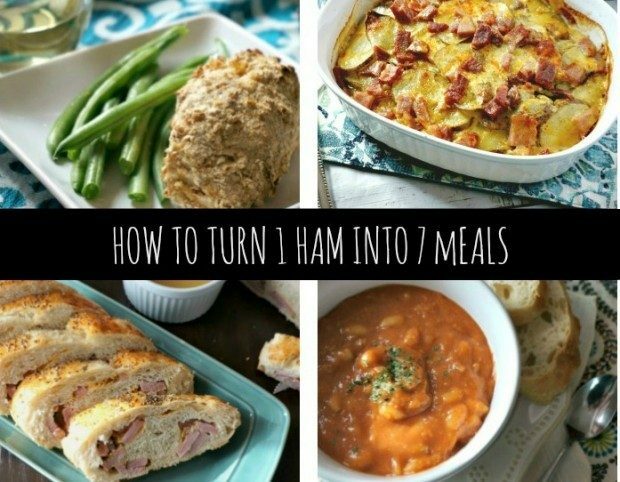 Save Money With These 7 Recipes From 1 Ham! 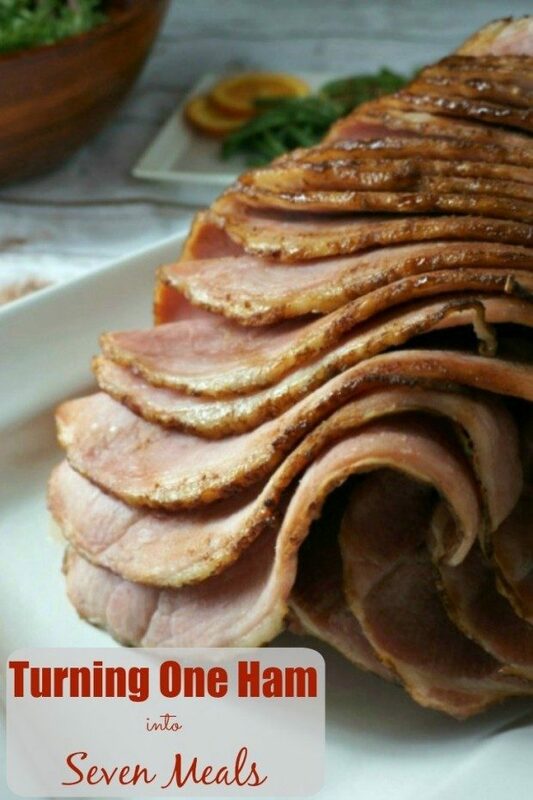 You are here: Home / Holidays / Easter / Save Money With These 7 Recipes From 1 Ham! Hello! I want to give a big shout out to Dian and all the fabulous readers at Grocery Shop for FREE. My name is Kristen with A Mind “Full” Mom. Get it? My mind is “full” of ideas to keep you “full.” Okay, I can be a little corny at times. But the bottom line is that I love to share real food for real families on real budgets. I am so excited to be stopping by today to share with you some inspiration. Today, I am giving you a game plan that will take one cut of meat and stretch it into seven meals for a family of four hearty eaters. Yes, you read that correctly, 7 MEALS from 1 cut of meat!! One of my passions in life is cutting down on food waste–both in actual food that goes uneaten and in wasted money that is spent on high grocery bills. And I know that if you are reading this, you are a part of the crowd that is looking to save a bit of cash when it comes to grocery shopping. One way I save money and time, is through meal planning. Yes, it does take me a bit of work at the start of the week. But then I know what I am making and can plan to buy accordingly. For example, if I am using cilantro in one recipe, I try to plan a meal that utilizes it later in the week. If I am buying potatoes, a ten-pound bag is always cheaper, so I plan to use potatoes over the next 2-3 weeks. You get the idea. Plus, there is no running out last minute to buy this or that, keeping my spending in check. I am also known in my family as Queen of the Leftovers. I will put ANY leftover food to use. From my carrot peels in my homemade stock to throwing the last bit of salsa into Chicken Chili. I love morphing one meal into a completely new meal. Because I don’t know about you, but I do NOT like to eat the same thing every day! Well except chocolate, I can eat that every day for sure! I started with my Balsamic Fig Glazed Ham. It is simple and is the perfect combination between sweet and savory so it pairs wells in any leftover dish. We dined on the ham with Hasselback Sweet Potatoes and Sweet and Spicy Green beans. But you can serve this dish with whatever side dish your family likes. As delectable and finger licking good as this Balsamic Fig Glazed Ham is, we had tons of leftovers. 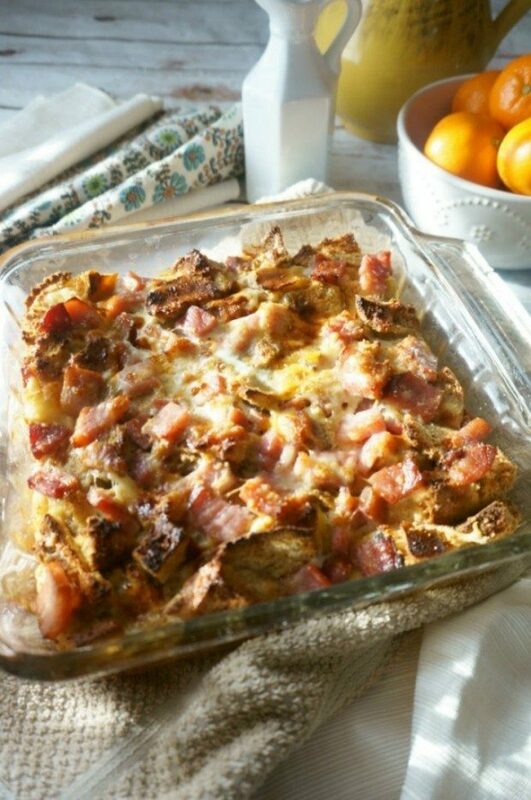 As I put the leftover ham away, I went ahead and prepped my Overnight Ham and Cheese Breakfast Casserole. That way when morning came, I could pop into the oven and we would have at least 2-3 breakfasts for the week. 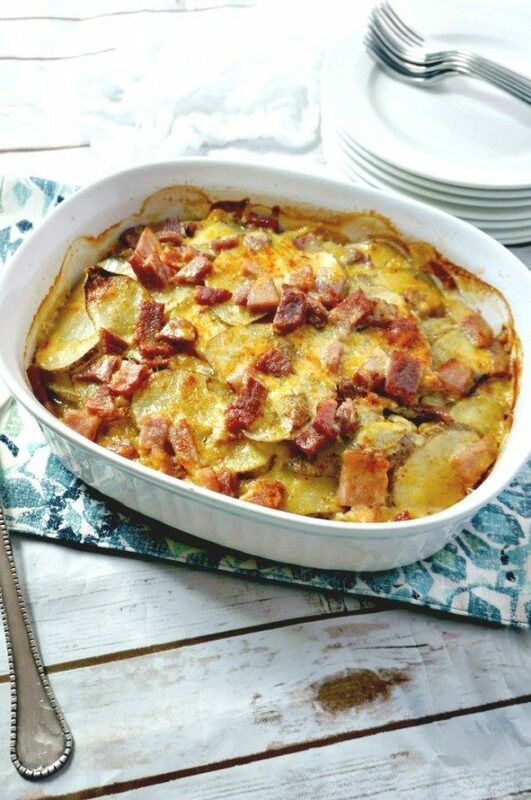 The next night, I made a family favorite: Cheesy Ham and Scalloped Potatoes. You just can’t go wrong with cheesy, salty, creamy goodness. With the leftover cheese from the large chunk of cheddar I had bought for the Cheesy Ham and Scalloped Potatoes, (the larger package you buy, the less you pay per ounce!) 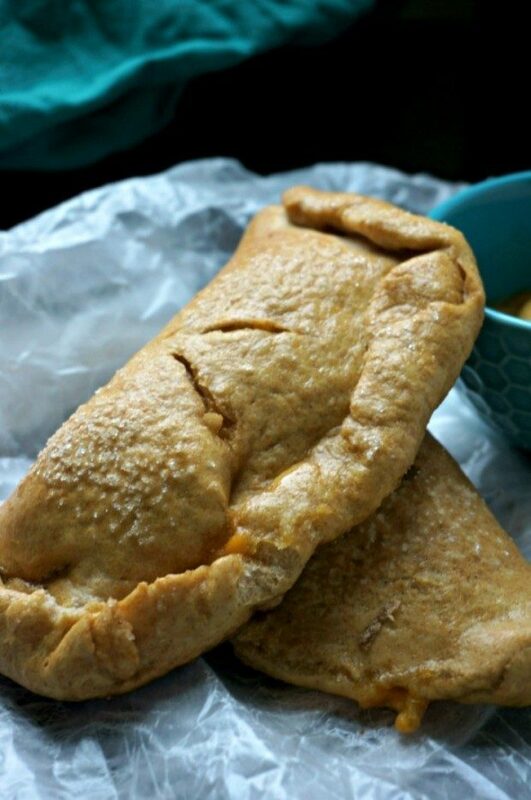 I wanted to make my Ham and Cheese Pretzel Hot Pockets. One recipe was able to make my family dinner for the night (that I served with a salad and some fresh fruit) and provided a few left over for lunches the next day! My kids love these little pockets of cheesy goodness in their lunches. (And yes, they eat them cold, but you can keep warm in a thermos). 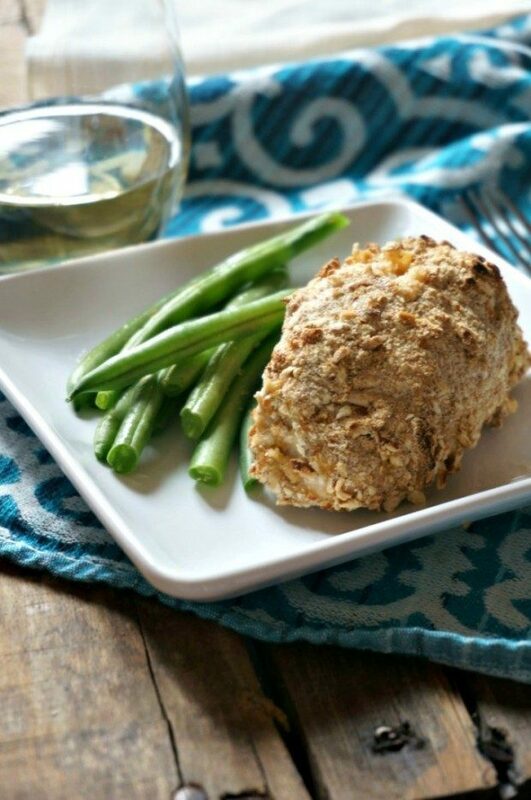 Mid-week, I decided to make my son’s most favorite meal: Pretzel Crusted Chicken Cordon Bleu. You all must try this! The salty crust on the outside of this chicken is just stellar. Bonus is that I had made extra Sweet and Spicy Green Beans and Hasselback Sweet Potatoes on Sunday when I baked the ham, so I had side dishes already ready to go. For this meal, I went back to a recipe that is easy and works for either a dinner or is perfect for packing lunches. Horseradish and Honey Glazed Ham Bread. 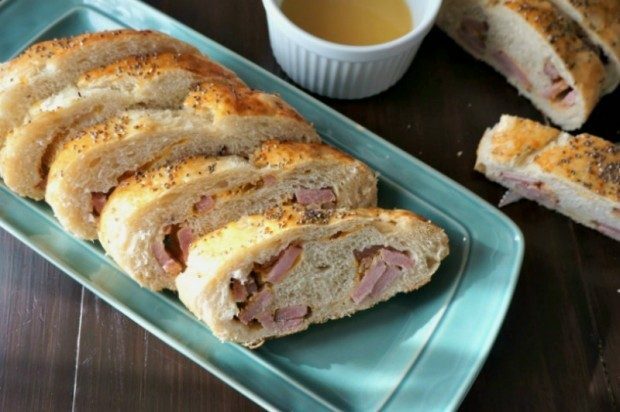 It is simply bread dough that has been stuffed with ham and Swiss cheese. (I used the leftover cheese from the Chicken Cordon Bleu) It is then baked with sweet and tangy glaze made from horseradish and honey. This is one of my favorites–it is an out of this world take on a sandwich. At this point in the week, I was down to pretty much just the bone from the ham. Which makes one killer Ham and Bean Soup. 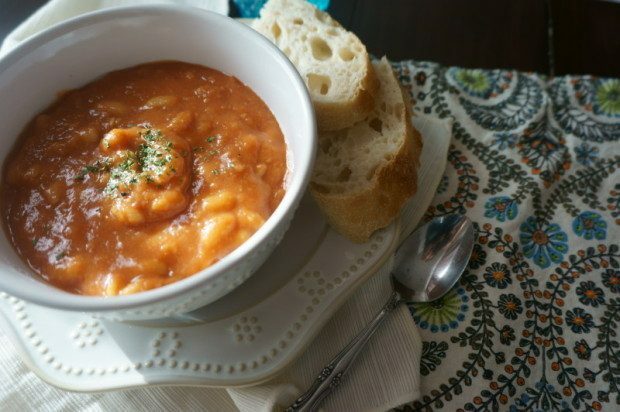 My husband begs me to make this soup for him. It is hearty and filling and so robust in flavor. Don’t tell him, but it is so simple to make too! Do you still have leftover ham at this point? Why not try my Cubano Pizza. Just a little bit of ham is needed to make a fun twist on pizza. There you go–you just made AT LEAST 7 meals from one cut of meat. How is that for a great time and money saver. And maybe you are thinking that you really DO NOT want to eat ham every day for a single week. Even though each of these meals is a completely new spin on ham, I can understand why you may get sick of ham. In that case, after you enjoy your serving of the Balsamic Fig Ham, cut up the leftovers and portion them out into freezer safe containers, or bags, in the portioned amounts you need for each meal. You can also wrap up the ham bone in foil and freeze for later use too. Then when the craving strikes, the meat is ready to go! 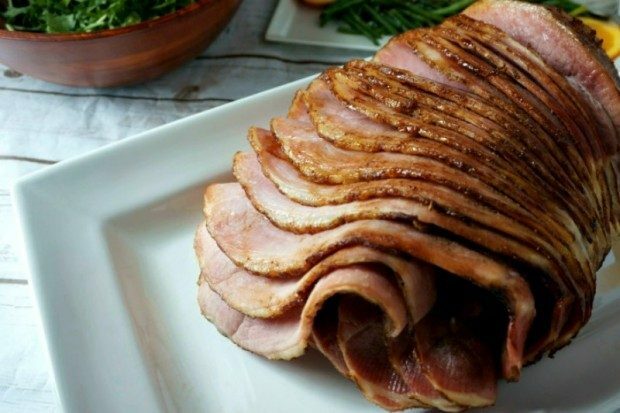 I hope you found this game plan to use ham beneficial to you and will put these recipes to use the next time you grab a ham at the store. I would also love for you to come check out other ways I save you time and money in the kitchen by preparing real foods on A Mind “Full” Mom. You can also check me out on Facebook, Pinterest, and Instagram. Brilliant! Great recipes and great money saving! Thank you for all the recipes and tips. All of the recipes look delicious! You’re very welcome! Thanks so much for the kind words!